trending // bar carts — color. me. quirky. 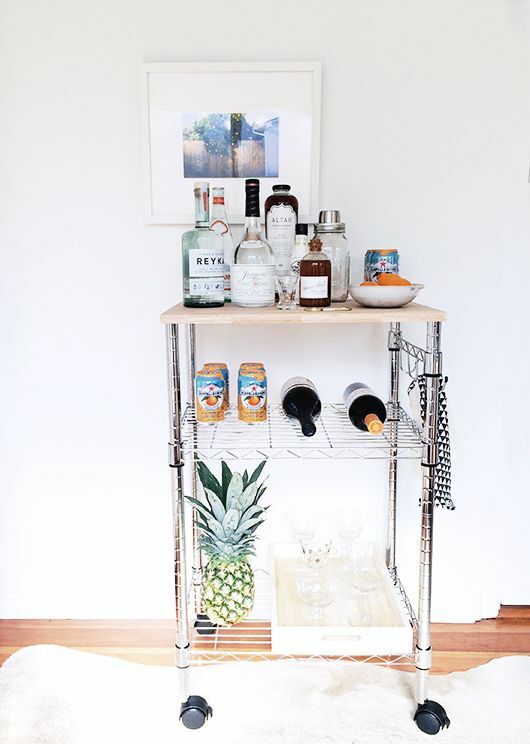 I love a good bar cart. Honestly though, who doesn't? It is a piece of furniture designed to be stylish and used whenever a thirst is itching to be quenched. With so many options (in various price points) the possibilities are endless, and to celebrate this awesome interior trend, I decided to highlight some of my favorites. Whether it be gold, silver, or even a vintage piece repurposed, there are so many ways to incorporate this trend into your home. My biggest tip: just have fun with it! This is one of those trends that can be taken to any level. Storage for your collections of magazines, a whole shelf of glasses, just have fun and play with the levels. Meaning- mix high and low bottles, throw in a small bowl of corks, and maybe a little life (a small plant or two) and you have yourself the perfect place to serve up that up that lovely cocktail (or two ;) ).